Drafted: Selected by the Phoenix Suns in the fifth round (76th pick overall) of 1975 NBA Draft... Selected by the Washington Bullets in the second round (31st pick overall) of 1976 NBA Draft. Joe "Mr. High Rise" Pace was the UMES Flying Hawks' Center during the 73-74 Seasons & was a key part of the HAWKS' Being the 1st HBC to enter & play in the NIT at Madison Square Garden. Joe's Exceptional Talent allowed him to dominate the Lane & contain NBA Greats like Marvin Webster of the Knicks. Joe, Talvin Skinner, Billy Gordon, Tyron Johnson & Rubin Collins were all drafted by the ABA & NBA. Joe's 1978 Washington Bullets NBA Championship Squad, was awesome in the Finals Game winning by 35 Points 117-82, the widest margin of victor ever in a Finals Game 7. Joe played in the NON 3 Point NO DUNKING ERA. If Joe could have dunked, 30 PPG would have been easy. 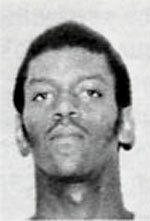 UMES & Joe was the Fastest Race Horse Style Basketball team during 1973-1974 seasons in College Basketball, where Joe led this team to 98.7 PPG, AN NCAA Record in the NO 3s/Dunks Era. Maryland, NC State, NC, UCLA these years all refused to play Joe's team. Driesel & UCLA's Wooden feared UMES' Joe Pace & The Flying Hawks. 484-225-8890. Please call I would like to hear from you.